In a fire accident lawsuit, the victim must establish only a few points to be successful in the lawsuit. In order to get an award in your favor, you would have to establish who is at fault for the fire, and that the fire caused you injuries. 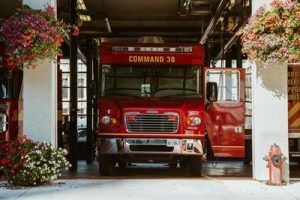 In assessing your case, a Massachusetts personal injury attorney will need to determine what of the many causes of fire accidents are attributable to your case. Fire accidents happen due to a leak of toxic gas from an appliance, which means it was result in a products liability personal injury lawsuit. If the accident was an apartment fire, the usual culprit is the smoke detector. If it failed, fault is on the manufacturer or landlord who did not properly maintain the device. Car fire accidents can also be the basis of a personal injury lawsuit. In a severe car accident, the impact may create a fire when the other vehicle slams into the engine. This fire may have been likely due to a defect in the car design. So this adds an additional defendant to a personal injury case. The Massachusetts fire accident attorney at the Law Offices of Jeffrey S. Glassman are ready to undertake your case and locate the third-party behind the accident. Contact our office if you have been injured in a fire as discussed in this article. You can have a consultation 24/7 by calling (617) 367-2900.